Discussion in 'F1 2018' started by GTPNewsWire, Jul 26, 2018. 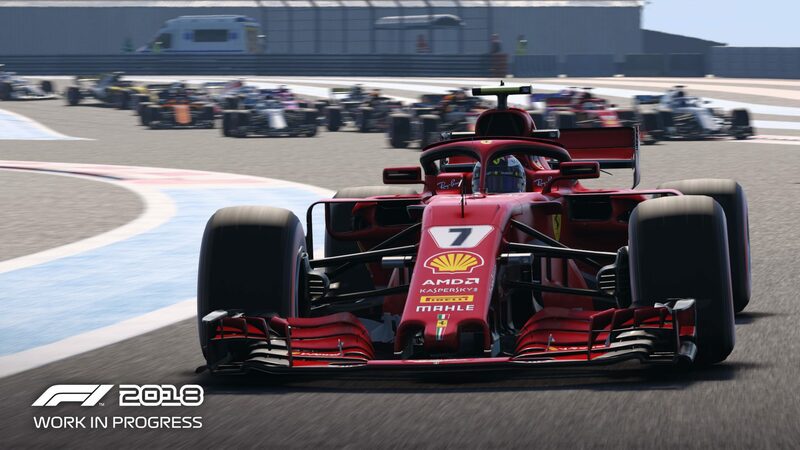 This article was published by Kyle Patrick (@SlipZtrEm) on July 26th, 2018 in the F1 2018 category. adam thompson, TRGTspecialist, baldgye and 1 other person like this. I get why they're doing the rule changes thing but IMO F1 2017 already had far too much management going on. They really need to implement an option to ignore all of these things and let the team deal with them. Surely that's how it works in real life anyway? brocp, Gr8_Lakes, Oyashiro-sama and 1 other person like this. Gr8_Lakes, Oyashiro-sama and SeanB80 like this. There already is, sort of. In F1 2017 just run in championship mode instead of career mode, and as an extra bonus it cuts out those dodgy cut scenes as well. Moglet, dQuim and baldgye like this. I am super hyped and ready to make headlines. Hope Emma has had a good break from f1 2017 and ready to go for 2018. I wasn't aware of this, I'll give it a go later. I just jumped head first into Career mode. The beauty of career modes in the FIFA/Football Manager etc. games is that everything evolves and changes. The licence doesn't allow that though so I struggle to see the point of refining career when it was online that almost killed 2017. One thing they need to address is getting sacked half way through a season,even though youre not far from the top of the championship. I finally won the championship in the Haas in season 7,then went to Red Bull in what was an underpowered car due to the R&D development - i upped the difficulty naturally,and i was doing ok after Azarbaijan in 3rd,only 30 points off the leader - but i got sacked as i wasnt in their expected place of 2nd!! Totally unrealistic and ruined the end of my career as my only choice was the lowest car,Sauber after that.